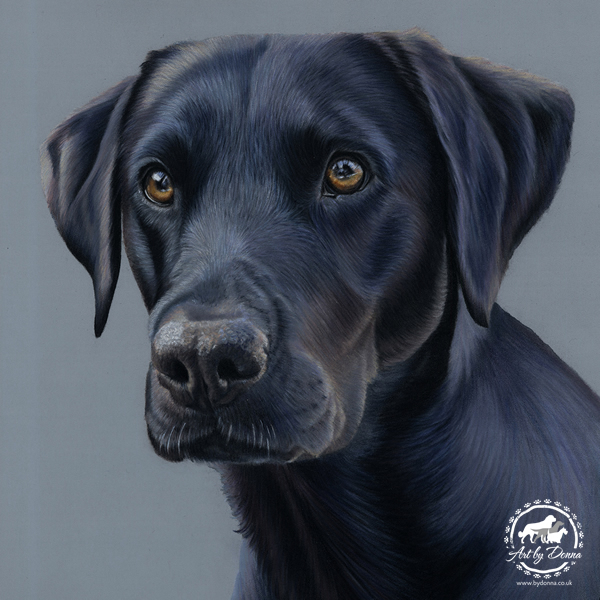 Black Labrador, River, was drawn on pale blue Pastelmat using Faber Castell, Derwent and Caran D’Ache artists pencils. I love the range of number of colours that can be found hidden within a ‘black’ coat. To commission a hand drawn portrait or painting of your Labrador, or other dog, please get in touch to discuss your requirements.